The City of Glendale contracts with Abbott Ambulance for both basic and advanced life support service for residents in the Department’s service area. In addition to this service, the Fire Department sends a pumper crew staffed with emergency medical technicians or paramedics on all life-threatening emergencies and rescues. The Fire Department will be happy to take your blood pressure. For your own considerations, they ask that you call ahead to make sure they are not on a call or in training. The Fire Department will teach CPR and First Aid techniques to any group or organization for a nominal fee, which covers the cost of books and materials necessary to teach the class. Please contact us for further details. All commercial buildings are required to have a Fire Suppression and Safety Inspection before occupying for commercial use. The Department offers advice and assistance to residents and contractors on the City’s Fire Prevention Code regulations prior to construction. Check your local newspaper, our Glendale newsletters, and www.glendalemo.org for a variety of programs offered during this week in October. 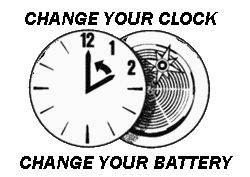 The Fire Department reminds you to check your smoke detectors monthly and change your batteries when you change your clocks. There are a limited number of smoke detectors to be distributed and installed free of charge to Glendale senior citizens who do not already have a smoke detector in their homes. Tours of the Fire Department are available for any resident or organization by calling the Fire Department. Specialized programs can be suited to the needs of a group or organization upon request. All scheduled tours must be verified the day of the tour.